The following is a reasonably complete list of my various publications. I am continually adding to it so it is liable to change. If you are interested in reading any of these publications, the Publications Archive on the right provides access to the full text of many of them. The Book of Zope: How to Build and Deliver Web Applications. Translated from German original ZOPE (Beehive, 2001) and published by No Starch Inc., San Francisco. 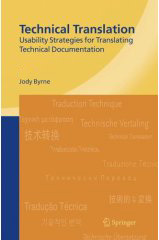 The Coming of Age of Technical Translation. Journal of Specialised Translation, Issue 11, pp.1-5. Plate. J & J. Holzmann (2007) Sicherheit in Netzen. Netzmafia/Fachhochschule München, pp.180. E-book translated from original German into English entitled Network Security. Maschke, C. (2000): Psychobiological reactions due to noise – their meaning for public health. In: A. Schick, M. Meis, C. Reckhardt (eds) Proceedings of the 8th Oldenburg Symposium on Psychological Acoustics. Oldenburg: BIS Oldenburg, pp. 481-507. Translated from original German into English. Best Practice in Career Service Provision to Languages Students: A Pilot Project. Research report commissioned and published by Dublin City University.